Jillian and her husband have a son and daughter both born at the Charleston Birth Place, and a daughter born at home. She trained and mentored with Pam England, author of Birthing From Within, and is an Advanced Birthing From Within Mentor and Birth Doula. Jillian teaches birth prep classes at the CBP and is also available for private, in-home sessions. 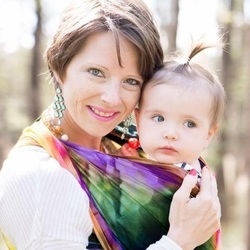 Jillian is continually learning and growing as a mother and birth mentor and is filled with gratitude to be invited into the sacred space of the birthing room whether that's in a hospital, birthing center, or home. Jillian is available for birth education, labor and postpartum doula support, and birth story listening/ healing sessions.